Euro Bus expo 2018 held in the NEC in Birmingham has been an astounding success. Harris auto were represented at 3 Stands with our range of Coaches and Minibuses. Huge interest was shown in the new bigger LDV Minibuses and especially the EV80 100% electric 14 seater Minibus. A massive thanks to all the Harris team for all the hard work and dedication. Here are a few images from the show. 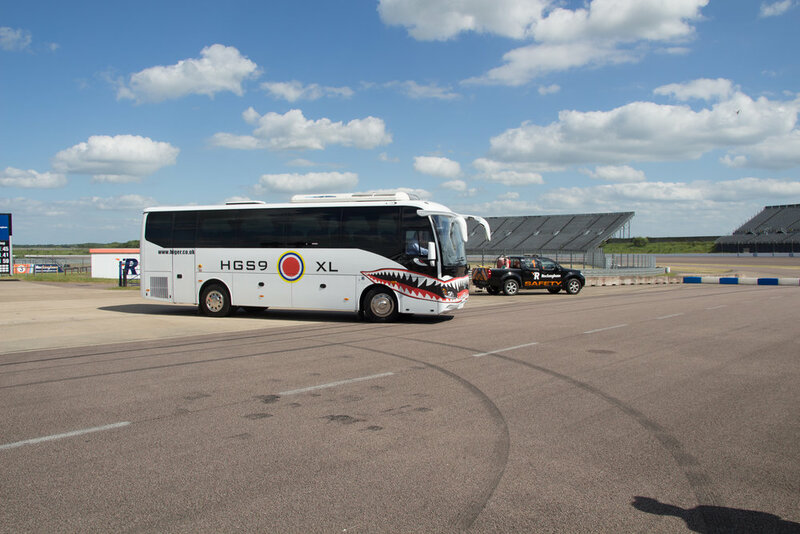 Harris Auto & Higer Bus Limited, one of the leading bus manufacturers in the World today, will debut the all new Higer Super 9 at the Rockingham Motor Speedway on June 14th, designed for the UK and Irish markets by Harris Auto. 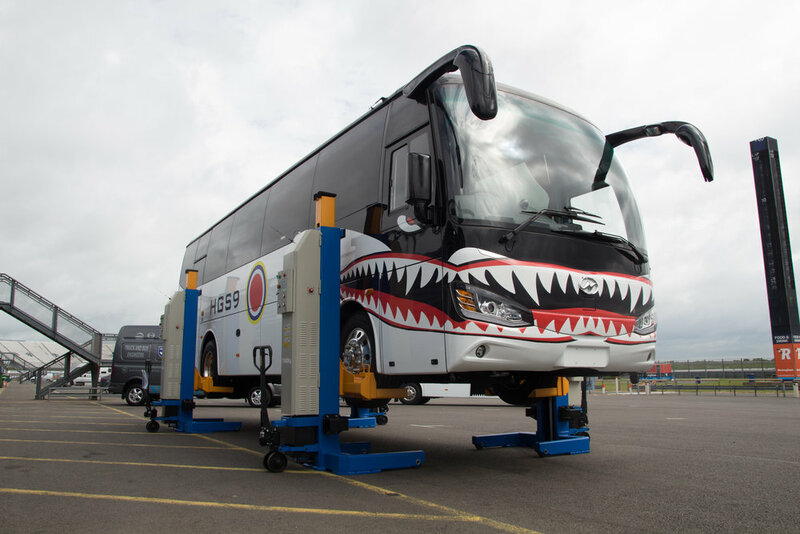 Extensive local R&D over the last two years has revealed the coach industry really want a mid-range coach to fit into the market place. The Super 9 has started out it's life as a real Coach and is not built on truck chassis, so straight away this gives the Super 9 major advantages over the truck derived coach conversions available on the market today. The rear mounted drivetrain in the Super 9 is practical for servicing and very quiet for passenger & driver comfort. 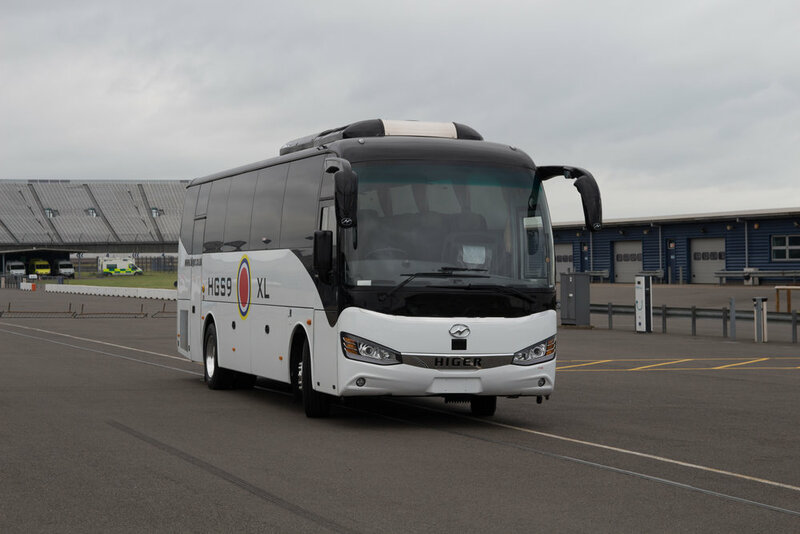 We believe the Super 9 is an excellent choice for operators looking for a multi-roll midi-coach, that is at home as a premier touring coach, for airport pickups and corporate work etc, This gives the owner /operator a practical workhorse that is modern and presentable in any application. The DNA of the Higer Super 9 is European by design, the engine is manufactured in the UK by Cummins. The Gearbox is made in Germany with the very latest ZF EcoLife. It is fully automatic with a 'Super Economy' & 'Power' mode button - a first in the Mini-coach sector. All the major components are sourced from blue chip global suppliers for the bus & coach industry. The construction of the Super 9 also uses Aircraft Grade aluminium doors, wheel arch and luggage doors to keep weight to a minimum, with a kerb weight as low as 9.860kg and gross weight of 13,800 kg. The Parts backup for the Higer Range are supplied from Harris Autos, a member of the Harris Group, based at the new Harris HQ, Naas Road Dublin. The Harris Group has just invested several millions in a new state-of-the-art facility bringing together all the elements required to spearhead a growing range of brands, which include the full Higer Bus and Coach range. The new Facilities also include full international parts distribution service.